Sir Ian McKellen and Orlando Bloom were given a nice send-off by director Peter Jackson following their completion of filming on The Hobbit trilogy. Now the hero of our films has also finished in New Zealand and Jackson has posted a photo showing Martin Freeman after wrapping production on the film. 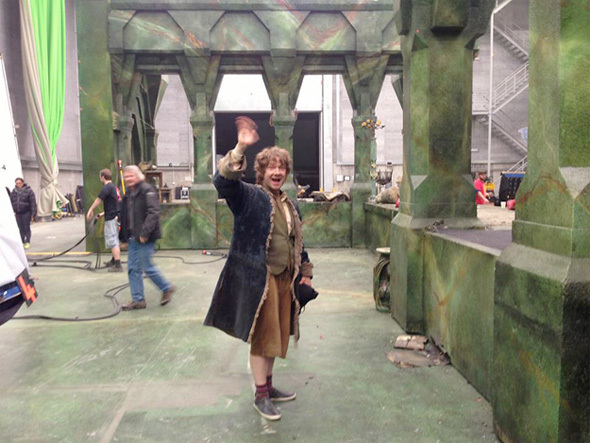 Jackson says, "Tonight Martin Freeman finished his last shot as Bilbo Baggins. The end of an incredible two and a half years. I cannot imagine anyone else in this role - a character that Martin has nurtured and crafted with love and great skill." We're excited to see Freeman in action again later on this year in The Desolation of Smaug. 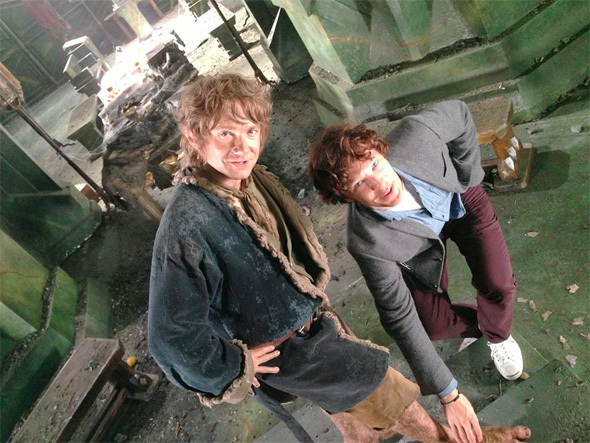 Holmes and Watson in Middle Earth! !